The quilted sham is soft and comfortable and washes well. The blend of the different patterns and colors work well in a cabin or lake house theme. The colors blend well with a dark wood bed frame. 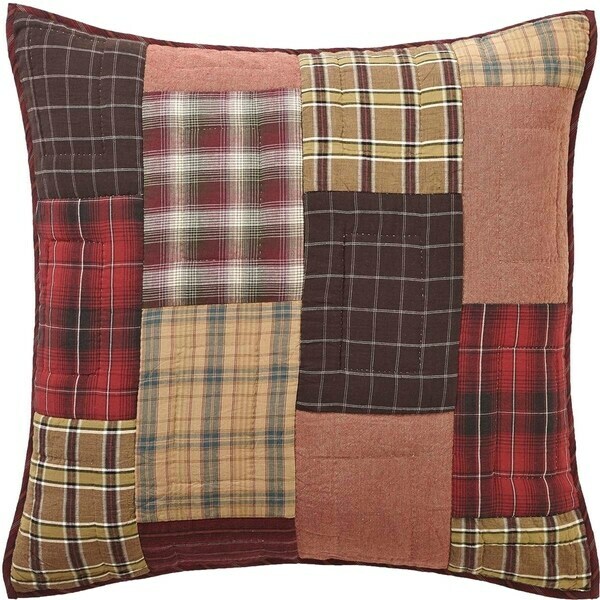 The Wyatt Quilted Euro Sham punctuates your rustic bed with expert echo hand-quilting on various crimson, khaki, and dark brown plaid and striped fabrics. Reverses to khaki, crimson, black, and moss green plaid with 3 tie closures. Beautiful and soft! Love it! It matches the quilt perfectly and they are very vivid in color!! The quilting is really nice too. Love this whole set!